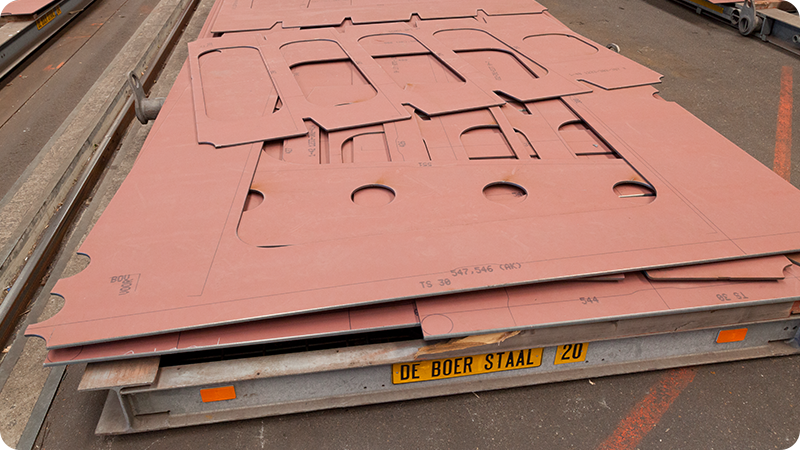 We supply complete shipbuilding kits consisting of cut, marked and shaped steel sections coated with a twin-component shop primer for medium-sized seagoing vessels, naval vessels, ferries, bulk carriers and offshore support vessels. The logistical organisation is also extremely important to ensure that the shipbuilding kits are delivered to the shipyards just-in-time. That is why we use special flat racks for materials up to three metres wide, with folding legs and lifting hooks. 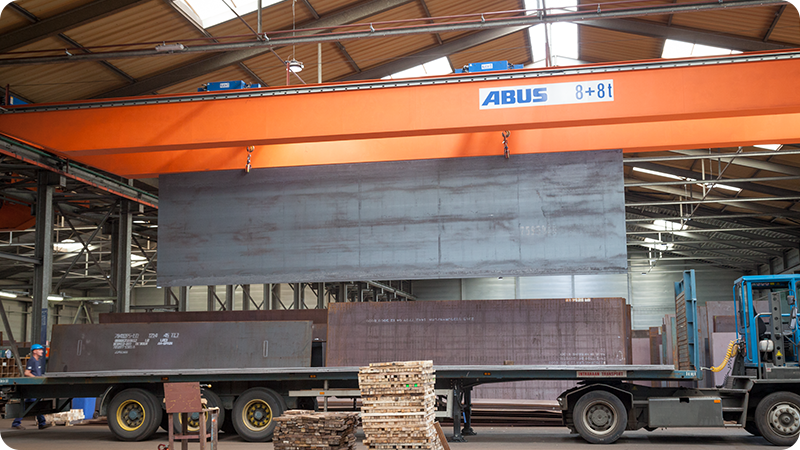 The various tailor-made parts are placed on the flat racks by order of section and transported to the shipyard on demand. At that point, the separate marked items can be selected from the flat racks part by part and welded to the vessel under construction in the right order. 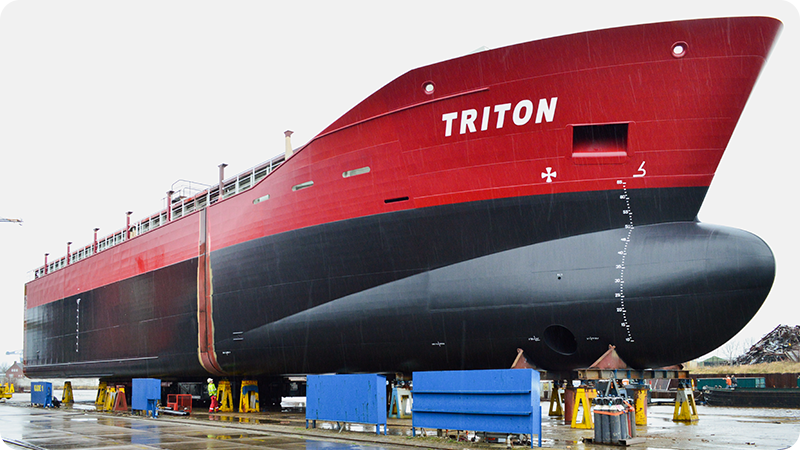 Our large stocks and just-in-time service provide shipyards with maximum flexibility.